humoral immunity approaches for HIV-1 vaccines. SCID-hu mouse models for studying HIV-AIDS and for drug testing. Although it is one of the most-widely studied viruses, many mysteries still remain about HIV. 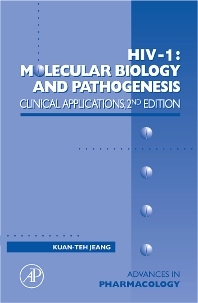 Covering the latest advances and challenges associated with clinical application of new antiviral drugs and vaccines, this revised edition is a companion to Murad: HIV-1: Molecular Biology and Pathogenesis, Second Edition. Leading investigators in HIV research present a timely picture of the molecular mechanisms which guide HIV-1 expression and replication and provide the most current clinical strategies for combating this virus. National Institute of Allergy and Infectious Diseases, National Institutes of Health, Bethesda, Maryland, U.S.A.